Bookings to avail discount flight tickets under IndiGo's New Year Sale had opened on January 8, 2018. Today is the last day to book IndiGo flight tickets at discounted prices under its Rs 899 promotional offer. IndiGo is offering flight tickets from an all-inclusive Rs 899 in its New Year Sale. Bookings under IndiGo's New Year Sale offer, valid on travel between February 1, 2018 and April 15, 2018, can be made till January 10, 2018, according to the airline's website - goindigo.in. That means if you are looking to avail a discount under the New Year Sale, you need to do it today. "Last day today! 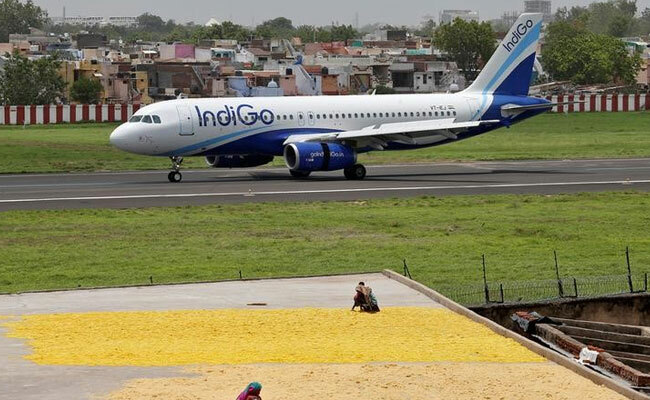 Plan your travel with fares starting Rs 899," IndiGo said. Bookings to avail discount flight tickets under IndiGo's New Year Sale had opened on January 8, 2018. Under its New Year Sale, Indigo is offering tickets starting at Rs 899 on flights from Delhi to Chandigarh; Rs 999 from Delhi to Jaipur; Rs 1,099 from Delhi to Amritsar, and Rs 1,299 on those from Delhi to Dehradun, according to the airline's website. 6. IndiGo is also offering an additional cashback of 10 up to Rs. 600 and special service vouchers of up to Rs. 600 on payments made with HDFC Bank credit cards, the airline noted on its website. 9. Rs. 600 is the maximum amount of cashback or IndiGo vouchers that can be earned on a round-trip ticket, IndiGo added. 10. This offer, IndiGo said, is subject to a maximum of Rs. 300 upon booking of a one-way flight, and Rs. 600 on a return flight. IndiGo recently commenced three daily flights to Hyderabad and two to Bangalore from Tirupati and back.